Purushottam is one among the numerous forms of Vishnu. 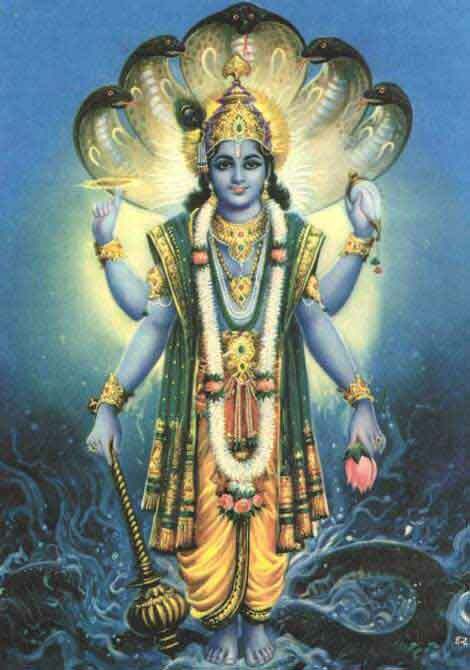 In this form, Srihari Vishnu is the overlord of all beings on earth. In the Purushottama form, Vishnu has four hands. He holds padma (lotus flower) in his upper right hand and shankh (Sudarhana Chakra) in the lower left hand. The upper left hand he holds shankh (conch) and in the lower left hand he holds mace (gada). This is the primordial form of Vishnu. All living beings with mortal bodies are Ksarapurushas. Beings like Goddess Lakshmi with immortal bodies are Aksharapurushas. As Lord Vishnu is superior to these two life forms, he is known as Purushottama. Worship of this form of Srihari Vishnu frees living beings from rebirth. He blesses his true devotees with liberation and frees them from worldly sufferings. He is also the lord of the east corner. Important offering to this form of Vishnu are asafetida, cardamoms, mustard and camphor.